We pride ourselves on leaving the original distressing on our wood until it is purchased for use on new projects where it can then be transformed and given a new life specific to each project. 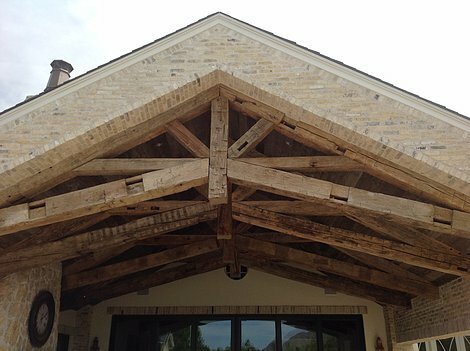 Reclaimed wood can be used for various interior and exterior projects. 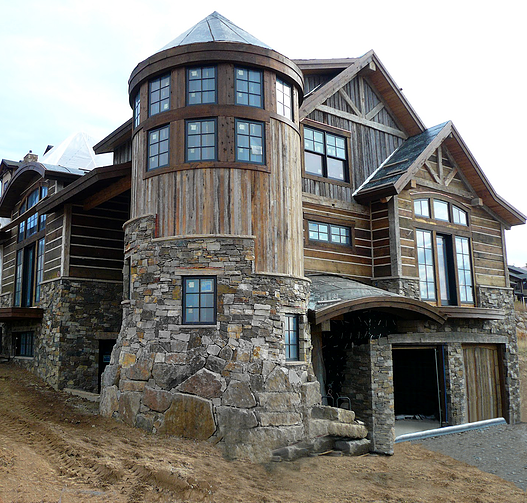 Exterior applications range from siding, soffit veneer, garage doors, and shutters to name a few. Interior applications range from accent walls, wainscoting, decorative trim, ceiling paneling, to custom made cabinets, doors, and furniture. 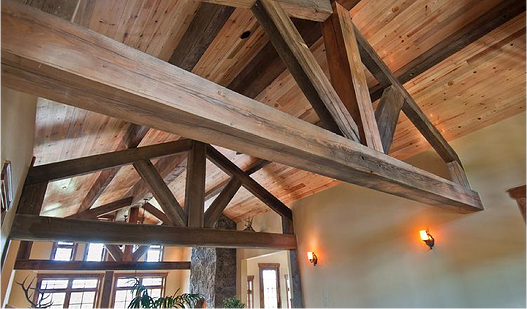 Our reclaimed wood is sourced from historic barns and warehouses throughout the United States & Canada. 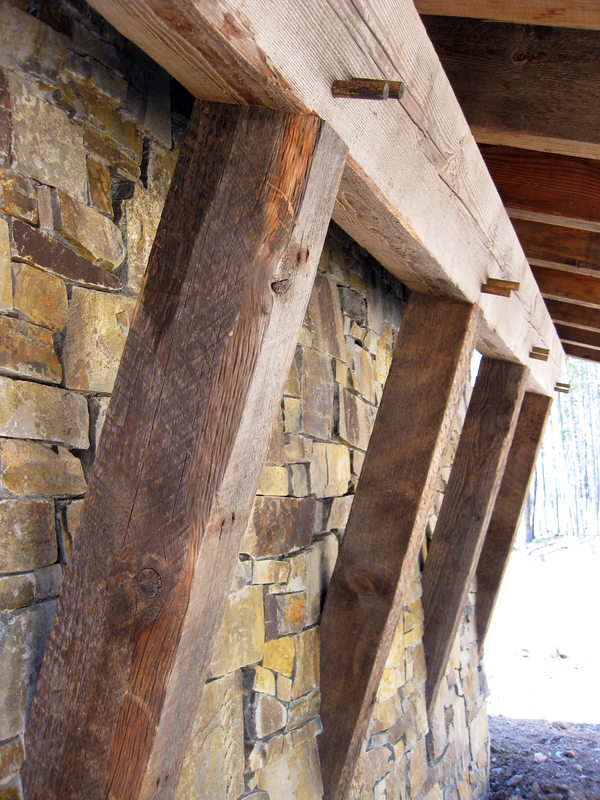 Our inventory includes reclaimed hand hewn beams and barn board siding which can be used for various interior and exterior applications. 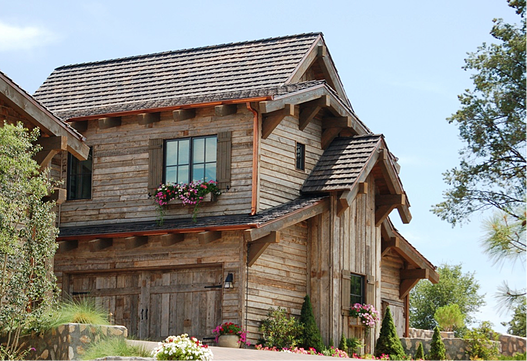 Our barn board siding is sourced from barns across the United States and Canada. 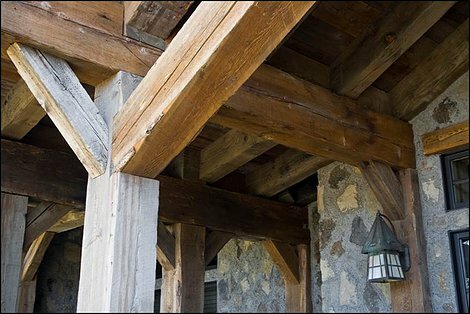 The natural aged patina of Reclaimed Barn Board creates a variety of grey and brown tones which vary from barn to barn based on location, age, and use. 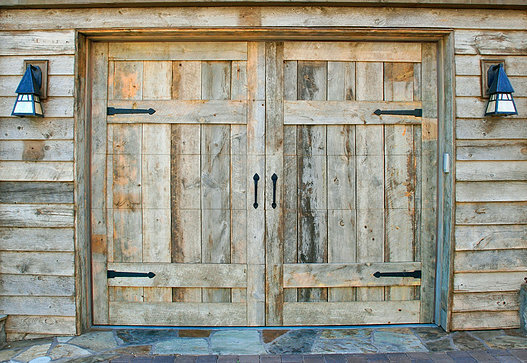 Our reclaimed barn board can be used for various interior applications – From interior accent wall features, wainscoting, decorative trim, ceiling paneling, to custom made cabinets, doors, furniture, and fireplace mantels, the design opportunities are endless.